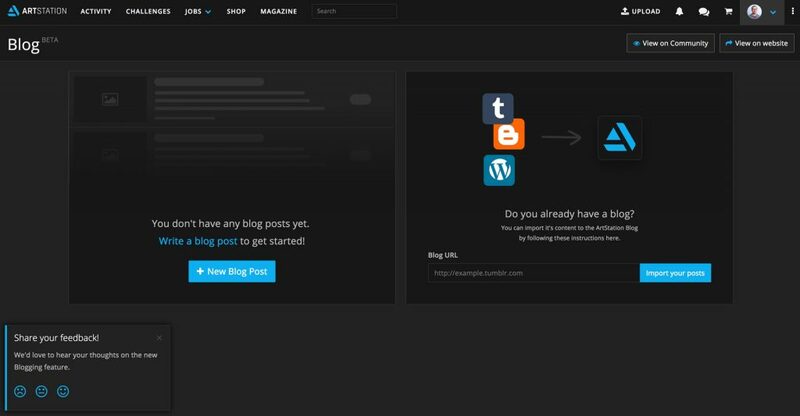 We’re happy to be releasing blogging functionality today on ArtStation for Pro members. This adds a blog onto your profile where you can post your work in progress, updates, articles and tutorials! The feature is in Beta as we stabilize and improve its feature set, and is available exclusively to ArtStation Pro members. Pro members can now share blog posts on your community profiles, containing images, video embeds (YouTube & Vimeo), Marmoset Viewer and Sketchfab embeds. Blogging on ArtStation is a great way to share your work in progress to your followers, get feedback, share tutorials, articles, and more. When you blog on ArtStation, it’ll show up on both your community profile and your ArtStation-powered website. 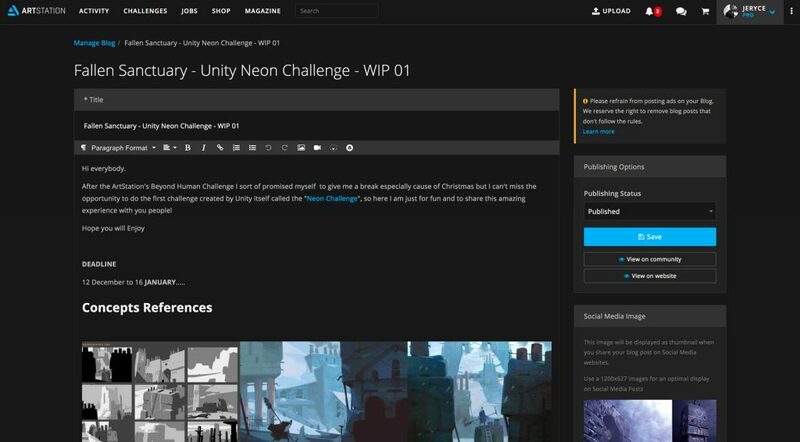 Publish blog posts onto both the ArtStation community as well as your ArtStation-powered website. Blog posts automatically notify all your followers, so it’s a great way to engage those who are following you on ArtStation. There’s also a “do not broadcast” mode where you can upload stuff without notifying your followers if needed. We’ve provided a powerful editor, enabling you to upload images (resize, align), Marmoset 3D viewers, embed Sketchfab and videos. 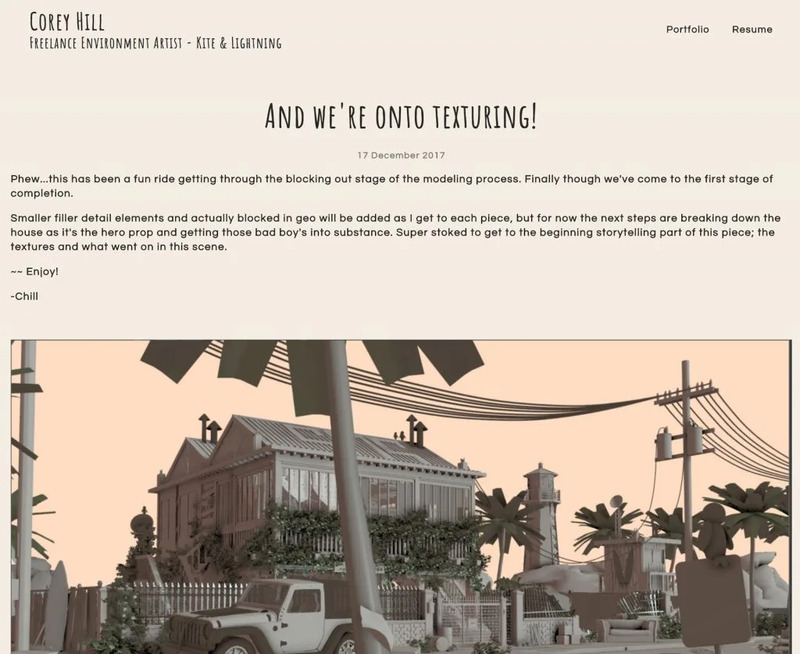 Upload images & Marmoset Viewer 3D scenes, embed Sketchfab, YouTube and Vimeo. If you already have an existing blog on another site, just put in the URL and ArtStation will import the blog posts onto ArtStation. This way, you can just keep going on ArtStation and not have to feel like you’re starting from scratch again. 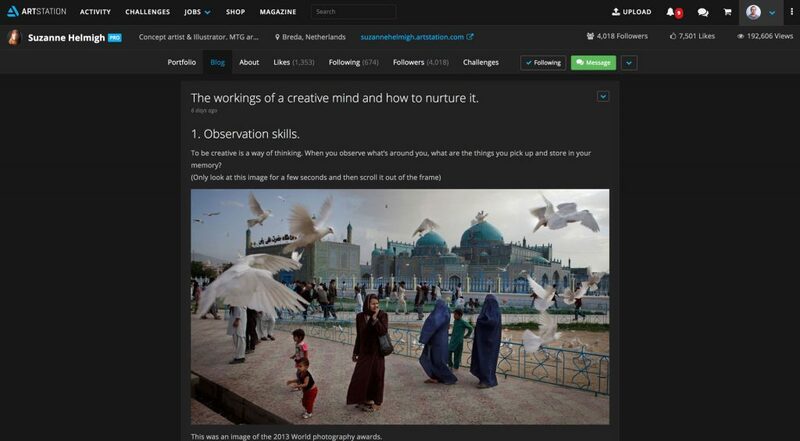 Import an existing blog to ArtStation so you don’t have to start from scratch.